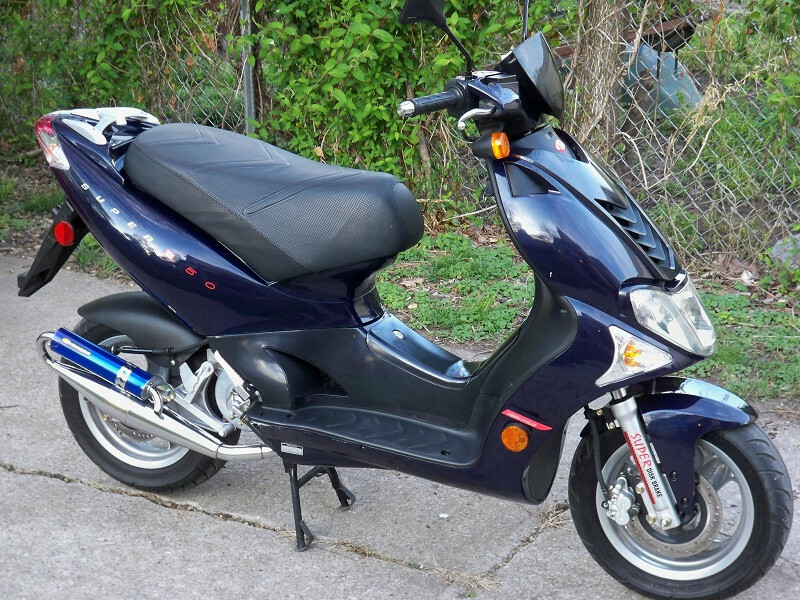 Just bought my second scooter. 2002 Kymco Super 9 LC. Only has 1,700 miles with the last 50 miles on an Airsal 70cc kit. Also has some kind of Tecnigas pipe installed. Anyone know which pipe this is? Last edited by prime1010 on Thu Apr 21, 2011 6:44 am, edited 1 time in total. Wow...liquid cooled...AND better brakes than a Zuma? I like. Found out that the pipe is an old Tecnigas Next. Here's a short video of the Super 9 on my way to work this morning. Clutch engages way too low and weights need to be lighter. I have a question. Does anyone know what motor this is a clone of? Is it the same as the Piaggio Zip and Gilera Runner? Thats an interesting question. 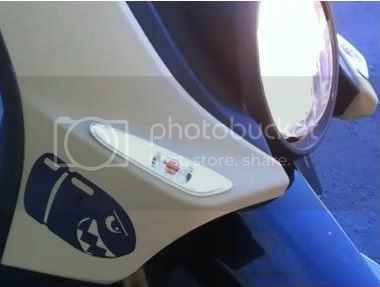 Maybe pop over to http://scooterinvasion.net/forum/ there are a couple guys building them there that would probly be a pretty big help. images are not showing up Prime - lets see this beast? Yeah, the site I hosted them at is down right now. Here's a mirror. Could you do a little review for us? Maybe compare the 9 and the Zuma? I strapped the GoPro to a friend yesterday and had him ride behind me on his DR 400 SM. This video shows some boggy take-offs and a high-speed run up-hill against the wind that indicated 56MPH on his speedometer. Not bad! How do you like it overall? Rides drives well? Brakes.....forks...shock? 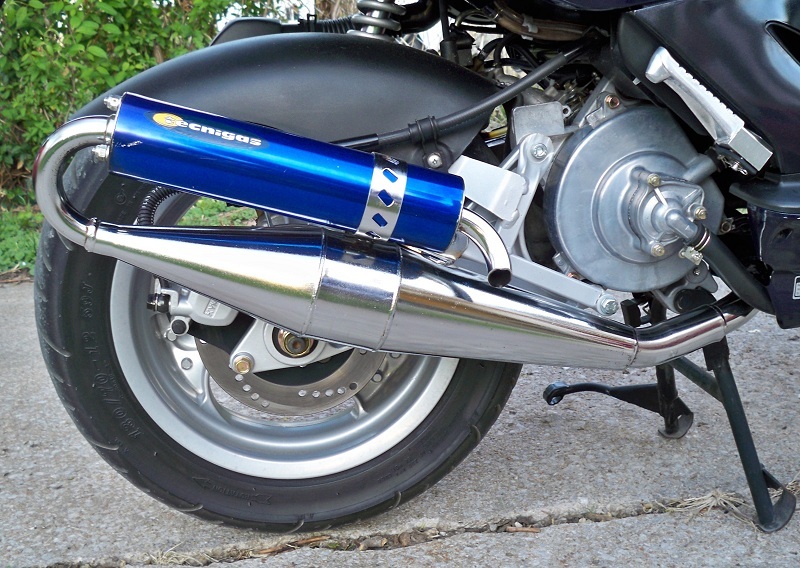 Its a minarelli clone, but they have slightly different head designs and exhaust, you would not be able to put a minarelli exhaust on a stock cylinder but if you swapped our a minarelli cylinder it will need to be slightly modified. Looks very similar to the Sym Orbit's setup..